Approximately 10,000 years ago humans began to shift their lifestyle from hunting and gathering to dependence upon agriculture, profoundly changing the course of civilization. Throughout these millennia, improvement in the quality and productivity of crops has depended in a large way upon genetic modification. At first, these were naturally occurring random mutations influencing plant characteristics that were favored and multiplied by early farmers, and gradually as our understanding of crop genetics improved the modifications have been intentional, including the most recent method of genetic engineering. There have been four major methods of plant breeding throughout our agricultural history that account for most of the genetic modification we have in our crops today – artificial selection, crossing and hybridization, mutagenesis, and genetic engineering. There are also other specialized methods which are referenced at the end of this article. Let’s consider the history of a few of our foods. Three wild relatives are shown above (top row), and from continuous selection of naturally occurring mutations over thousands of years, we have designed plants with thicker roots, fuller leaves on a shorter stalk, or a larger ear with many more kernels. 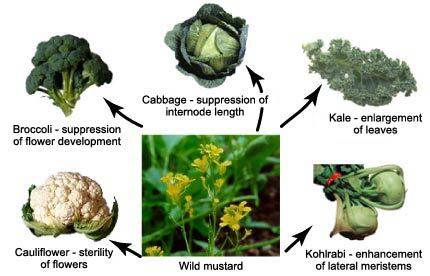 Natural genetic variation within just one single species, the wild mustard (Brassica oleracea), produced several desirable variants that were selected, giving us today’s broccoli, cabbage, kale, kohlrabi and cauliflower. Continuous selection for plants that grew larger, tasted better, and were easier to grind, is known as selective breeding or artificial selection of genetic variants, and we have been doing it since the dawn of agriculture. Our farming ancestors may have lacked an understanding of the scientific basis of plant breeding, but they did a remarkable job of selection, as almost all of the crops we are familiar with today have come from them. They even selected crops such as our modern bread wheat that never existed in nature. Our modern wheat is a chimera, with six sets of chromosomes; it is a result of a combination of three species in two different genera, derived from two separate mergers that occurred during cultivation, the first about 10,000 years ago, the second about 2,000 years ago. Early Middle East farmers selected the new species for their large seed and flour characteristics. Today, wheat is one of our key staples planted on more land than any other crop in the world; genetically modified by nature and selected by man. 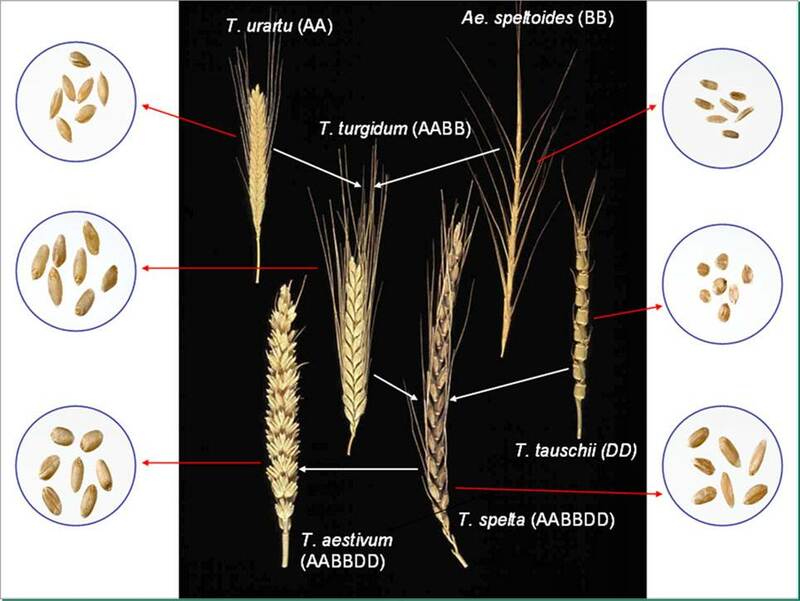 Most recently in the past century, triticale was developed from crossing wheat with rye, which are in different genera. Commercially released in 1969, the result is an intentionally modified, man-made cereal species with grain quality and disease resistance of wheat and environmental hardiness of rye. It also lacks a wild ancestor, being developed by plant breeders. Making intentional crosses between two plants to obtain desired traits was a major step in plant breeding and is a staple of plant improvement efforts. Crossing transfers the male pollen grain from one plant to the female stigma of another compatible plant’s flower. Crosses of many crop and ornamental plants accelerated dramatically after Gregor Mendel’s 19th century studies and explanation of the process. Hybridization is the crossing between two genetically different plant lines, the most notable success of which is corn during the 20th century in the US, where crossing of inbred lines resulted in ‘hybrid vigor’ which had a large role in the dramatically increased productivity from under 40 bushels per acre in 1935 to over 170 bushels per acre in 2014. Today, about 95 percent of the US corn acreage is planted with hybrids. The third major method, also developed in the last century, is mutagenesis or mutation breeding. In the late 1920s, researchers discovered that they could greatly increase the number of useful mutations by exposing plants to X-rays. Mutation breeding accelerated after World War II, when the techniques of the nuclear age became widely available. 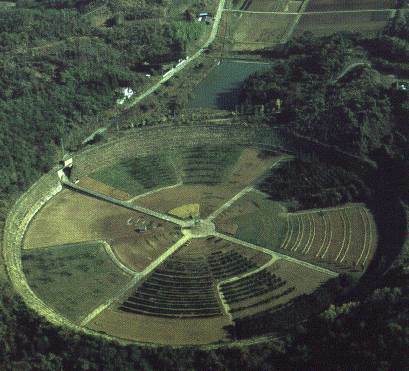 Plants were exposed to gamma rays, protons, neutrons, alpha particles, and beta particles to see if these would induce useful mutations, such as disease resistance, short stature, tolerance to harsh growing conditions, and other agronomic traits. Chemicals such as sodium azide and ethyl methanesulfonate, were also used to cause mutations. Usually the selected mutated plants were then crossed with other lines as part of their varietal development. Herbicide tolerant Clearfield Wheat and Clearfield Rice grown in the US were developed with chemical mutation breeding. The peak of mutation breeding activity was in the 1970s, though the joint FAO-IAEA program promoting this breeding technique is still going strong, especially in developing countries. Some common foods developed from mutagenesis include Calrose Rice and the Rio Red pink grapefruit, as well as many other cereals and legumes. According to FAO/IAEA records over a few thousand mutant derived varieties have been released covering many crops and ornamentals, including many in production today. You can now buy seeds of seedless watermelons for your garden from Burpee, Harris, Johnny’s and other suppliers. Wait, what? Yes, seeds of watermelons with three sets of chromosomes (triploids) grow and produce fruit that is seedless, because having an odd (rather than even) number of chromosome sets wreaks havoc during meiosis when the genetic material is attempting to split up evenly. The triploid was created from regular diploid watermelon (with two sets of chromosomes, like you and I have) using the chemical mutagen colchicine, which doubles the plant’s chromosomes, resulting in a tetraploid with four chromosome sets. 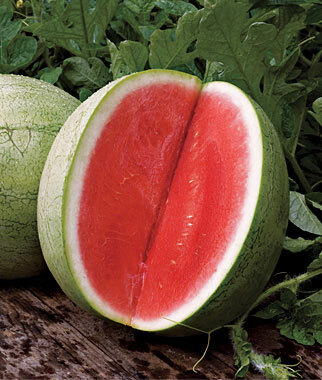 When crossed with a regular diploid line, the resulting triploid seeds are grown and produce the seedless watermelon (with no seed saving option available). Colchicine is naturally occurring, obtained from the lovely sounding autumn crocus plant (aka meadow saffron). While it has human medical applications, botanists found that it increases plant chromosome numbers, sometimes resulting in desirable characteristics. It was used in the development of triticale mentioned above, where doubling the chromosome number of the infertile crosses of wheat and rye actually restored fertility. The most recent advance in genetic modification of plants has come from genetic engineering techniques developed over the past 30 years. Advances made in molecular biology and the discovery of how the soil bacterium Agrobacterium tumefaciens inserts its DNA into the DNA of plants enabled the application of recombinant DNA techniques (often referred to as genetic engineering or transgenics) to crop plants. 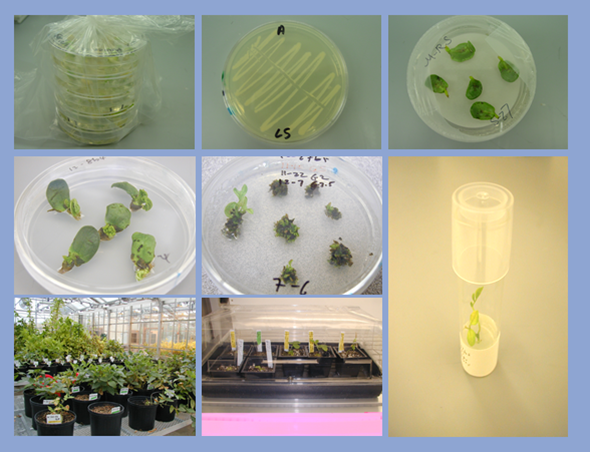 The first crop traits developed were herbicide tolerance, resistance to certain insects, and resistance to viral diseases. New introduced traits in the pipeline include drought tolerance, flood tolerance, salt tolerance, nitrogen use efficiency, delayed senescence, enhanced nutritional qualities and many more, though regulatory requirements guarantee a fairly slow release schedule. Genetic engineering enabled more precise modifications than previous breeding methods, and greatly expanded the source of genes and DNA available for use in plants, as in theory any gene from any plant or bacterium can be transferred into a recipient plant. Genes and segments of DNA from bacteria, viruses and other plants have been used to modify a relatively few number of crop species, and commonly includes additional crossing and hybridization further in the breeding chain. 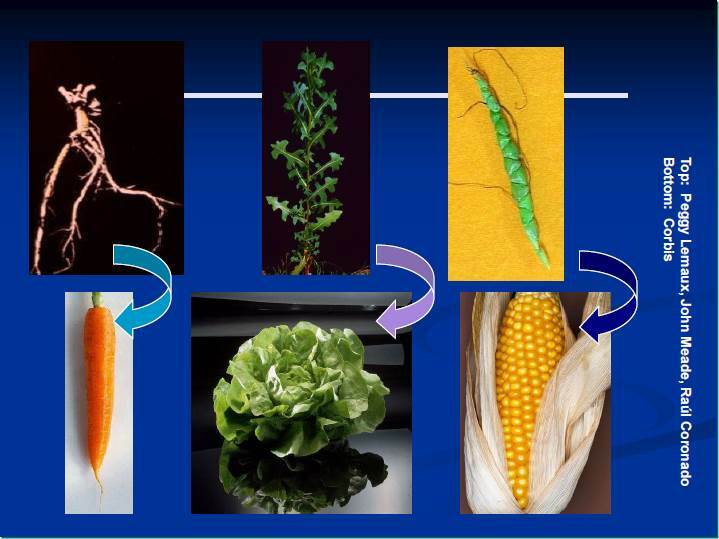 The progression along this continuum of genetic modification methods used in fashioning the abundant food we have today can help us understand how we got to where we are. A few billion more people will need to be fed by mid-century, so continual progress in crop production is necessary. Additional methods that we may not even imagine today will almost surely be developed and applied in the future to continue improving our food systems. This was a bit long winded, I know, so just for fun here is a short, concise summary by Neil DeGrasse Tyson. L.T. Evans. 1998. Feeding the Ten Billion: Plants, Population and Growth. Cambridge University Press. A. McHughen. 2000. Pandora’s Picnic Basket. Oxford University Press. N. Fedoroff and N.M. Brown. 2004. Mendel in the Kitchen. Joseph Henry Press. Methods and mechanisms for genetic manipulation of plants: a summary is provided on pages 24-28 in Safety of Genetically Engineered Foods. 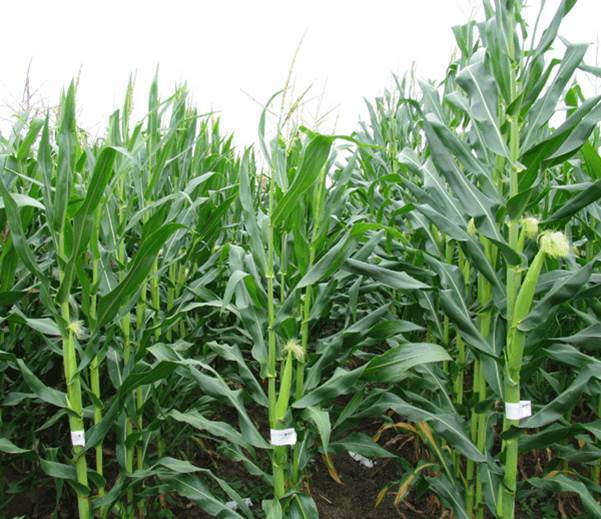 ← Why Do Farmers Use Genetically Modified Crops?